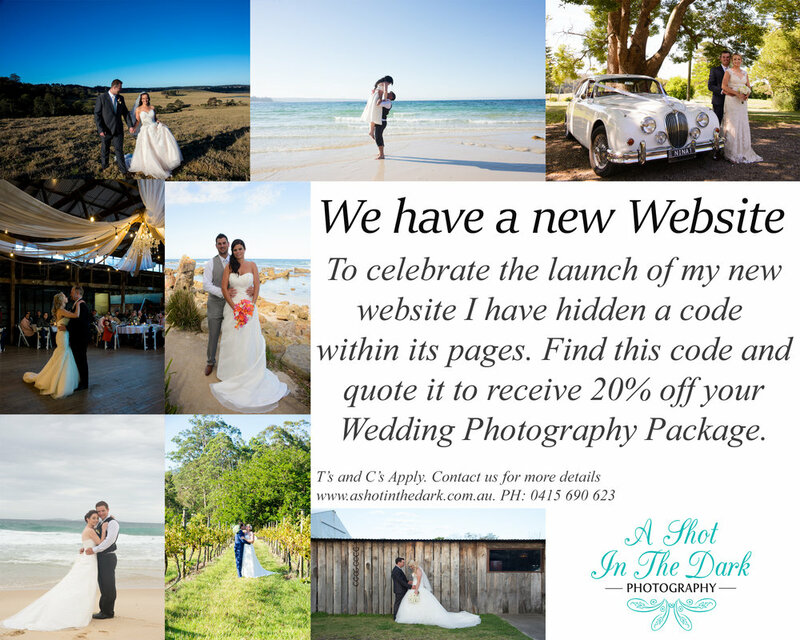 To celebrate the launch of my new website for A Shot in the Dark Photography I am offering a 20% discount off any wedding booked for 2019 or 2020. In order to receive this discount you need to find the code which has been inserted on one of the pages of this website. I haven’t made it too hard - the code is 8 digits long and I have put it in capital letters. All you need to do is contact me to discuss your wedding photography needs and quote this code at that time. The discount is offered off the total package price however booking fees do still apply and this discount cannot be used as the booking fee. There is no tricks with this offer but it cannot be used in conjunction with any other offers or vouchers.